As much as I wish I had been on every cruise ship on the planet I am sorry to say I haven’t, it’s still very much a work in progress. There are some ships I am really looking forward to trying but for specific facilities or features, I would love to cruise on them of course but, if I were given the option to board and check out just one thing for an hour these would be some of the things I would go straight for. 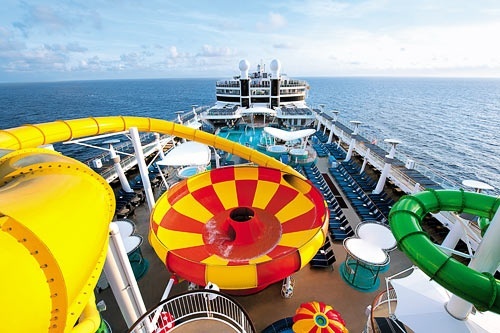 Norwegian Epic – The Aqua Park, I don’t know why but for some reason I am more or less desperate to try the bowl slide and I could quite happily stay right here. Usually I would look at these and think oh maybe tomorrow then say the same thing every day following but this; I just want to get on it NOW! Queen Mary 2 – Her wonderful and traditional tiered stern would be my instant choice. I would like nothing more than to stand right at the aft of this ship, as high up as possible and simply enjoy the view of not only a wonderful ship but the trailing wake she would leave behind. This would probably be my “relaxation” option. Disney Fantasy – I am going to cheat a little bit on this one because I would have to see everything. The child in me would emerge and I would take off around this ship like I was Speedy Gonzales himself. I couldn’t board a Disney ship and not see it all; I would feel like I was committing a crime against all children and adults around the world. 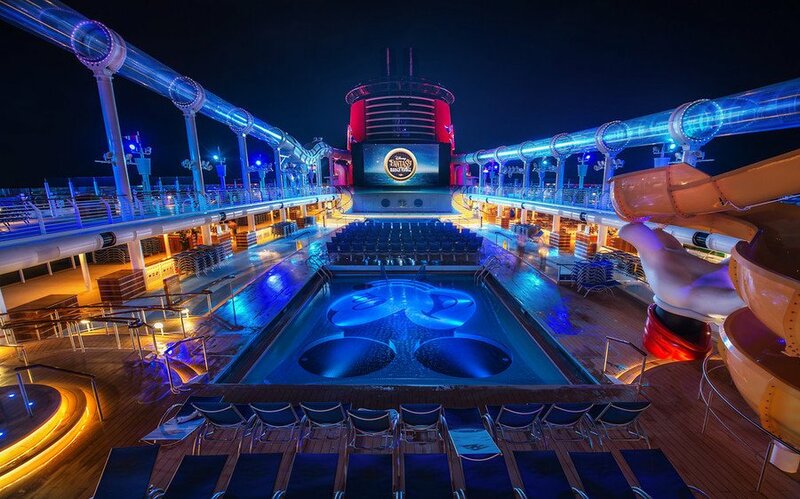 See they are clever the folks at Disney, they may target a younger audience but we all know whether we were 9 or 90 every Disney cruise ship would steal our hearts and make us feel young again….until they sounded the whistle….then I may be tempted to get off! I could probably add a few more, well more than a few but the above is a small sample of what’s on my “To Do” list. What a great list. I like your comment on the disney cruise but would like to say, I dont think Disney targets an “age group”. Disney targets “Disney People”. Disney people come in all ages and sizes but yes it does tend to be on the younger side. With that being said, if you cant stand the sights and sounds of kids having the time of their lives; Disney is probably not the right cruise for you. For me I would add just about any Celebrity Cruises ship to this list. The whole “Modern Luxury” theme just calls to me. From the Millenium Class up to the newest, the Celebrity Reflection, It is hard to go wrong in my eyes. I have the opportunity to do a ship inspection on the Celebrity Infinity in less than a month and I’m so excited. Oh, one more thing, I will also be doing a ship inspection of the Oasis OTS. I will be sure to send you pictures Danielle.